This is the coolest hostel in London. 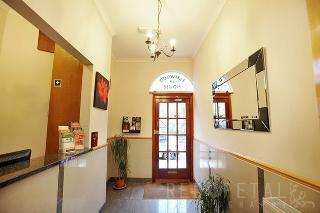 Modern, cosy and intimate, it has an impressive fully equipped kitchen, TV rooms and internet. It is around a 10-minute walk to the British Library and some 2.3 km to Covent Garden, the British Museum and Dickens' House. 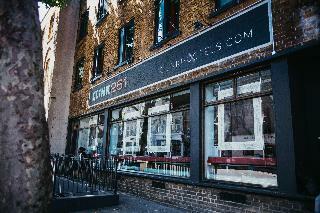 Only steps from the impressive King's Cross station and Hoxton, it is the perfect base to explore the city and relax. Facilities include a lobby with a 24-hour reception, hotel safe, lift access and a TV lounge. This central, budget hotel is a few minutes walk from King's Cross and St Pancras International stations. 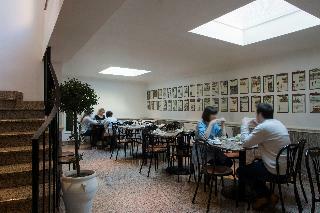 Free high-speed Wi-Fi is available throughout the building.The Elmwood Hotel is convenient for all London attractions, including the British Museum, Piccadilly Circus, Covent Garden and Oxford Street.The 35 newly decorated, en suite rooms offer basic comfort in the city centre of London. This hotel is located within walking distance of Kings Cross Station, the British Library, the British Museum and fashionable Islington. Guests will find bars, nightclubs within a 5-minute walk and it is just 30 minutes from Oxford Street and Piccadilly Circus. 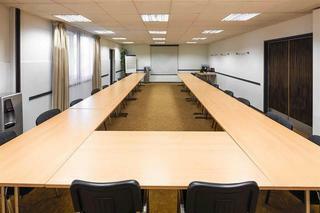 This hotel has an ideal location for both business and leisure travellers. It offers clean and comfortable accommodation with a total of 14 rooms. 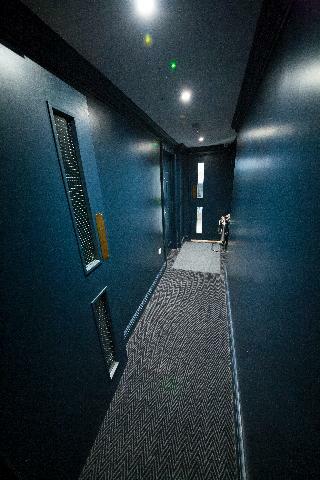 Facilities on offer to guests at this air-conditioned establishment include a 24-hour reception, a cloakroom, lift access and a breakfast room. All the rooms have an en suite bathroom with a shower and a hairdryer. They are fully air-conditioned and come equipped with a microwave, a fridge, coffee making facilities, a desk, a safe, TV, a telephone, a radio, Internet access, an ironing set and a double bed. This hotel is strategically situated just a 5 minutes' walking distance away from London King's Cross Rail Station and St. Pancras International Station. The Bloomsbury and Shaw theatres are just a 15 minutes' walking distance away. Guests will find themselves surrounded by a number of shopping opportunities, dining options and entertainment venues. 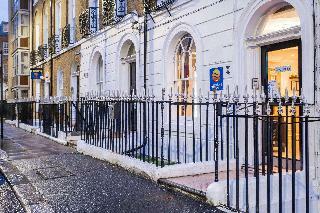 This property is just a 10 minute's underground ride from Covent Garden. The hotel enjoys a charming exterior. The guest rooms offer comfort, convenience and style. The hotel's facilities have been designed with the utmost in comfort and relaxation in mind. 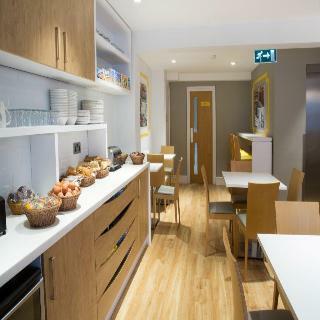 This hostel is ideally situated in central London very close to Kings Cross station, making it very easy to go quickly get anywhere in London. Guests will find restaurants, bars and shops within a few minutes' walk of the hotel. Piccadilly Circus, the British Library, and the British Museum are within walking distance of the hostel. This hostel is housed in a 200-year-old Magistrates courthouse. 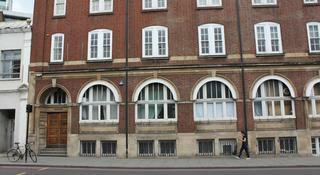 Nightly entertainment is provided, and the hostel offers a daily walking tour of London, free for solo travellers. This elegant and contemporary style hotel just a short stroll from King's Cross train and underground station as well as St Pancras Eurostar station away. It features a restaurant, a bar and conference facilities. Attractions such as Camden Town, British Museum or British Library are within walking distance; Regents Park, Hyde Park, Houses of Parliament and Buckingham Palace are within easy reach.